The following is a general overview. As always, we encourage you to email or call Good Neighbor, your carrier, and your accountant with specific questions regarding your group insurance plan and taxes. All U.S. citizens are required to have insurance coverage that meets the Minimal Essential Coverage requirements of the Affordable Care Act, unless they are exempt. 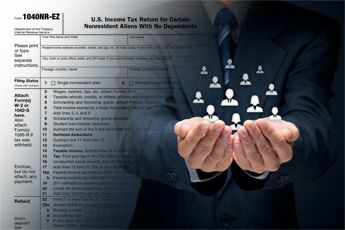 Exempt U.S. citizens – Includes those U.S. citizens who reside outside of the U.S. for over 330 days a year or are bone fide residents of a foreign nation. If you are a US citizen and have lived overseas for at least 6 months of the plan year on group insurance, you are considered an expat. As such you will not be subject to the IRS penalty when you come home on furlough. If/when employees return home from an overseas assignment, they will be eligible to enroll due to their qualifying “status change” even if they miss the Open Enrollment period. Events that qualify as a “status change” include: Adoption, Birth, Change of spouse’s employment/benefits, Death of a dependent, Death of a spouse, Divorce, Gain or loss of employment, Legal separation, Loss of eligibility for coverage as a result of reduction in hours, leave of absence, Marriage, Qualified Medical Child Support Orders (QMCSOs), relocation after living overseas/expatriate. Although we don’t know what will happen in 2016, ACA and international group health insurance clarification does give us the assurance that those who qualify as expats (residing out side the USA) will be covered by their international group coverage when they are in the USA for furlough/sabbatical, without concern for an IRS penalty through December 31, 2015. July, 2015 – All organizations (even those with under 50 full-time employees) are subject to up to $100 per violation, per person per day, for payments or reimbursements of either “individual policy premiums or for other out-­of-­pocket medical costs) that do not comply with ACA market reforms” according to “FAQs about Affordable Care Act Implementation (Part XXII)” prepared jointly by the Departments of Labor (DOL), Health and Human Services (HHS), and the Treasury published on November 6, 2014. Read article here. Answer: Individual and group health insurance policies are regulated differently based on differing standards. For individuals please see Individual Overseas ACA Healthcare Requirements – UPDATED 11/2016. For those on a international employer or group plan (“Expatriate Health Insurance”), please contact your POC (point of contact) within your organization or direct questions to group@gninsurance.com. Answer: Yes. The individual mandate applies to all individuals starting Jan 1st 2014 whether they are part of a group or not. It will be administered at tax time…but penalties have been delayed until Dec. 31, 2015. The group (employer) mandate applies to large employers (50 or more units) and a ruling regarding it has been delayed until Jan. 2015 (One year’s delay). This mandate applies to those groups that have 50 or more W-2’s. Part-time employees do count towards that 50 based on a formula. That formula helps you determine if you have to meet the employer mandate or not. The mandate simply says if you are eligible as an employer, you must furnish health insurance for your group and that coverage must meet certain standards in affordability and coverage. No groups are affected this year, meaning groups like yours won’t have to make any immediate changes. Mark J. Mazur, the assistant secretary for tax policy at the U.S. Treasury Department, made the announcement regarding the delay via the Treasury Notes blog late in the day on July 2, 2013. Mazur said the mandate’s delay is intended to “provide time to adapt health coverage and reporting systems while employers are moving toward making health coverage affordable and accessible for their employees.” The postponement of the employer “shared responsibility” mandate—sometimes referred to as “pay or play”—is linked to a delay (announced at the same time) until 2015 in implementing two PPACA penalty-related information-reporting provisions: Section 6055, which requires reporting by insurers, self-insuring employers and other parties that provide health coverage; and Section 6056, which requires reporting by certain employers concerning the health coverage they offer to their full-time employees. Answer: There has not been a definitive answer to this question yet. We expect to hear something in early 2015. Answer: No. The Individual mandate states that U.S. citizens who live abroad for a calendar year (or at least 330 days within a 12 month period) are considered as having “minimum essential coverage” if they have credible international health coverage, and, therefore, are not required to purchase PPACA-compliant coverage. As an employee with health coverage through your organization, you are excluded for penalties. So as long as you don’t move back to the USA, or leave your current employer, you don’t need to worry about complying with the individual mandate. I am a Non-U.S. citizen covered under an international Insurance Plan. Does the U.S. individual mandate apply to me? Under PPACA, only U.S. citizens, nationals and resident aliens residing in the USA will be required to purchase minimum essential coverage (PPACA compliant coverage), unless they are exempt. Most international Health Plans do not meet the definition of “minimum essential coverage” under PPACA, nor do they need to be. If you live, or intend to live in the USA for more than 3 months this year, you should review the information below to see if you are exempt from the requirements of PPACA or not, and whether (in the future – after Dec. 31, 2015) you would have to pay a tax penalty or not. Answer: The IRS states that you are a non-resident alien unless you meet either the green card test or the substantial presence test. THE INFORMATION OFFERED ABOVE IS THE MOST ACCURATE AND PUBLIC INFORMATION WE HAVE AT THE MOMENT (OF PUBLICATION) AND IS OFFERED “AS IS” WITHOUT WARRANTIES OF ANY KIND, EITHER EXPRESS OR IMPLIED. WE CANNOT GUARANTEE THIS INFORMATION TO BE ERROR-FREE, IN TERMS OF IT’S CORRECTNESS, ACCURACY, RELIABILITY, OR OTHERWISE. WE ENCOURAGE EVERY CLIENT TO DO THEIR OWN DUE DILIGENCE IN REGARDS TO POLICIES, APPLICABLE LAWS, ETC. AS IT AFFECTS THEIR PERSON AND ORGANIZATIONS. Under no circumstances, shall Good Neighbor Insurance be held liable for any indirect, special, incidental, consequential or other damage, including, but not limited to, loss of health or profits, which result from the use of, or the inability to use, the information published on this site, which is published solely for informational purposes to educate, inform and assist clients and organizations make informed, timely decisions regarding their health insurance needs.